Newton Heath M40 Steam & Dry Carpet & Rug Cleaning Services | Quality Property Care Ltd.
Use this phone number 0161 823 0325 do reach our expert rug cleaning customer support representatives. They are available for your demands! Organise the deep carpet cleaning assistance right away - it is ideal for commercial and domestic properties as well! In terms of rugs we clean Persian Rugs Chinese Rugs Wool Rugs, area rugs, handmade rugs, Tibetan rugs, silk mix rugs, shaggy rugs, Indian rugs, Turkish rugs, Egyptian rugs, play rugs, entrance mats, floor mats, logo mats, antique rugs, industrial mats, rubber mats and anti fatigue mats. Not like regular synthetic carpets, rugs can be a challenging task, when it comes to proper and comprehensive cleaning. Our carpet cleaning specialists, though, are well-trained to cope with all types of carpets and rugs: synthetic, wool, cotton, linen, silk, viscose, suede, chenille, plush, nubuck, leather and acrylic. Depending on the fabric type, the professional carpet cleaners in Newton Heath M40 chose the most suitable procedure. Notice: we always examine the detergents on the back of the rug to make sure it will not get wasted. Keep in mind that Quality Property Care Ltd. carpet cleaning company, though, works only with examined and 100% environmentally friendly cleaning detergents with no chemical substances. Last, but not least, the carpet cleaning groups can also provide: Mattress Cleaning, Bed Bug Mattress Treatment, Drapery Cleaning Curtain Cleaning Blinds Cleaning. Be aware that if you purchase more than one service, we will make a special discount for you! Receive your deal today and don`t worry about the hygiene at property the next day! We would be happy to assist you! The most efficient deep cleaning for carpets and rugs is the wet deep carpet cleaning or the hot water extraction carpet cleaning from Quality Property Care Ltd.. It includes pre-treatment of the rug by hoovering with professional vacuum cleaners, and then carpet spot and stain removal, followed by the steam carpet cleaning. The trained cleaners perform a high quality shampoo carpet cleaning, using safe and certified cleaning solutions, which will not harm you, your kids or your house animals. The carpet or rug will have as much of the water taken out from it, so it will need only 2 hours to fully dry off. If you ask for it, the cleaners can perform a very nice deodorising of your rugs and carpets for an added fresh and clean effect. 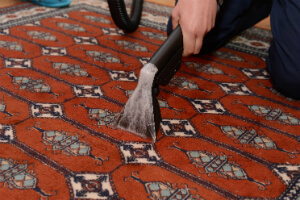 There are some carpets and rugs which can't safely be cleaned with water, so the cleaners will deliver a very efficient and safe dry foam carpet cleaning. 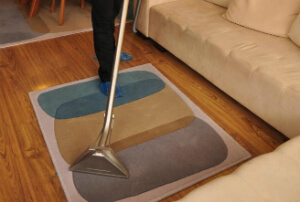 The unique and perfectly safe foam is sprayed and rubbed into the rug or carpet, and after it has done its cleaning job, it is extracted with the suitable tools and vacuum cleaners. The same can be done with your mattresses, curtains or draperies and blinds. Dry carpet cleaning demands no drying time, so you can step on your carpet or rug immediately after the cleaners are done. Meet Quality Property Care Ltd. - the supreme professional rug cleaning company with 10 years of experience in the field and with various solutions for rug spot and stain removal. Our reputable carpet cleaning firm in Newton Heath M40 has implemented the general standards in carpet and rug hygiene maintenance. However, in addition to these, we always tend to advance and progress. Contact us to get a reservation for our carpet cleaning service in Newton Heath M40 today! Book any time by dialling 0161 823 0325 or posting a booking form on our web site. Get in touch with us with no hidden fees and any obligations.